Pelvic floor dysfunction is common amongst men, yet embarrassment often prevents men from seeking help. At Shelbourne Physiotherapy, we take a personalised approach to pelvic floor treatment, with specially trained and qualified Physiotherapists here to listen, and support your recovery. We understand it may be difficult to talk about these sensitive problems but encourage you to seek treatment. Our professional and empathetic Victoria Physiotherapists will help improve your quality of life. For a confidential appointment for any men’s health condition, please book in with Laura Werner, Eimear Brogan, Sarah Hubbs or Faraley Vander Schilden. You do not need a referral to see a pelvic floor Physiotherapist. We offer a number of options in regards to the assessment & treatment of Pelvic Floor issues, including the use of Real Time Ultrasound. 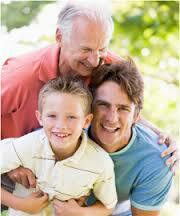 Canadian Men’s Health Foundation website has lots of information concerning Men’s health issues.